Maybe you or a family member has experienced their hair changing to a dingy-green shade after spending a lot of time in the pool. While it can definitely happen to those who spend a lot of time swimming, it’s actually not the chlorine that causes the color change. Copper in mineral-based algaecides is the true cause of green hair. While surveys have found that one in five Americans admit to using a pool as a bathroom, there is actually no chemical to catch anyone in the act. While many people believe that they have to wait to swim after eating because of health hazards, there’s actually no reason to believe that it poses any real risk. While you may want to skip the belly-flopping after a big meal, some light swimming should be no problem. 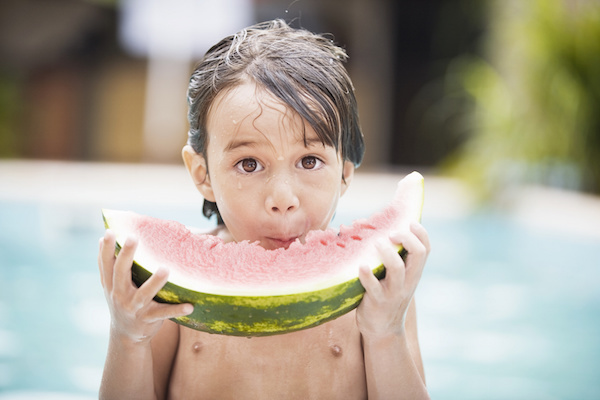 No matter how clean a pool may look, it’s never a good idea to ingest it. There are many microorganisms present in pool water that can make someone sick. It can be a challenge to tell swimming pool fact from fiction thanks to the vast amount of myths out there. Now that you know the truth behind some of the most common swimming pool myths, swim on with reckless abandon! To learn about the best ways to keep your pool clean, contact the professionals at Aqua Blue Pools.